A wearable prayer. This emblem combines the three fursona types of ‘Ideal, Paradigm and Avatar’ with a proclamation of The Truth as hyperreal and the absence of evil. A testament to the power of self-healing found in our own characters. האור מאיר בחושך, והחושך לא התגבר עליו. Lettering inspired by ancient Hebrew, Sanskrit, The Book of Kels, and The Aleppo Codex. More information on the characters in the illustration found in BEOKAY: The Dark Art of Self Therapy, or in the ‘Fursonas: Types and Stereotypes’ talk found on Youtube. Comes in Grey Triblend, using high quality, super-soft Bella Canvas made tank tops. 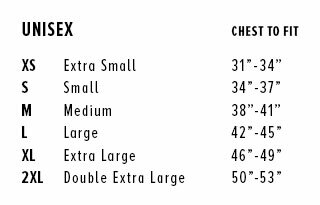 (Size Chart here. )We only use Bella Canvas specifically because of their eco-friendly practices, ethical production, and outstanding quality. Screen-printed locally right here in Santa Fe, NM by Bee’s Knees Prints.